Welcome back to day 2 of the November Stamp release hop. We have some more amazing projects to share with you today and a couple of new SVG freebies for you. 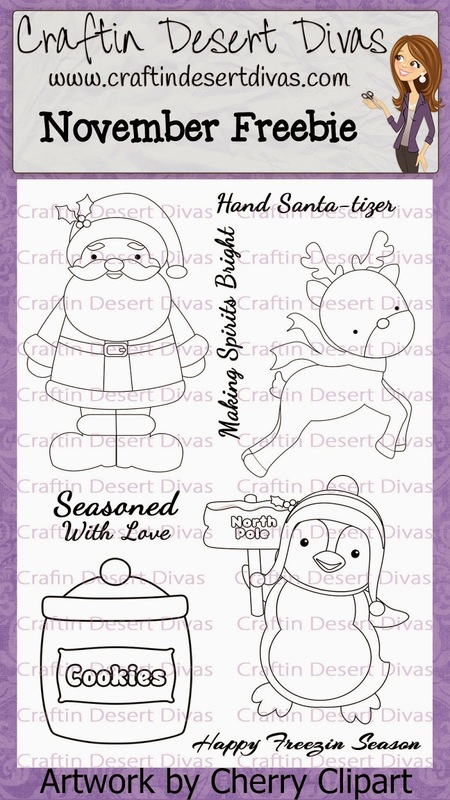 We have sold out of Baked With Love & Get Your Jingle On stamps. I will have these back in the shop in about 2 weeks. 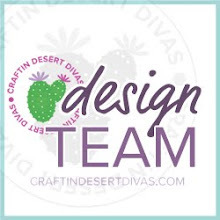 These SVG outlines are in the CDD Gallery or email craftindesertdivas@gmail.com after your stamp purchase to request them. 1. Use Code: 20NOV to receive 20% off your entire order. Sale ends Dec. 5 Midnight MST. 2. 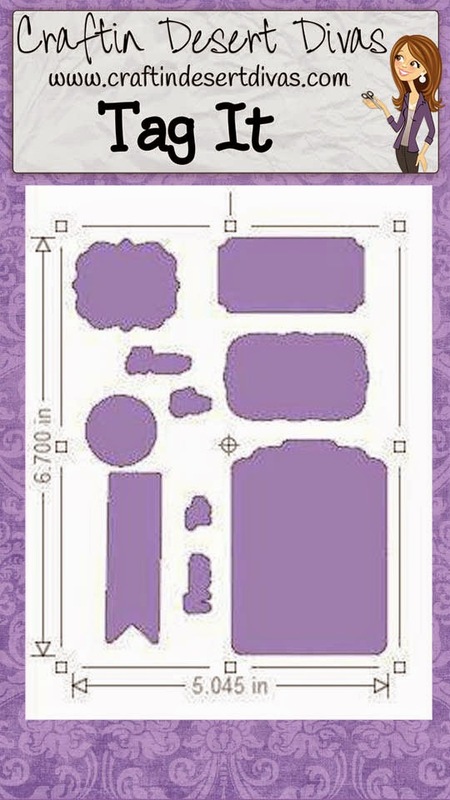 4x6 Freebie is for $30 minimum purchase (before tax & shipping) in the CDD Shop. Offer ends Dec. 5 you do not need to add this to your cart, I will do it for you. 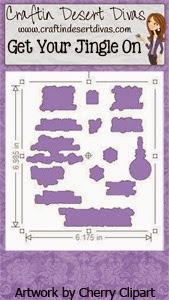 Today you can get this Baking With Joy SVG pattern by following and commenting on all the stops in this hop. 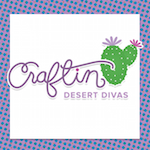 Then you may email me at craftindesertdivas@gmail.com or send me a message on Facebook to claim this. 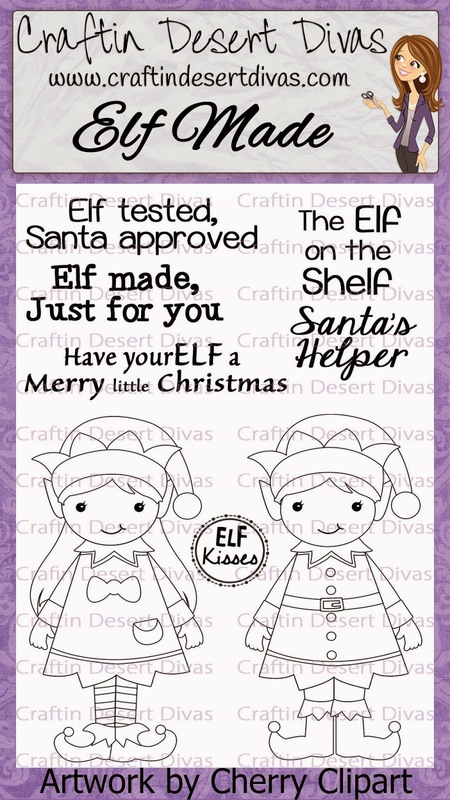 My first project is using the new Tag It & November Freebie stamps. 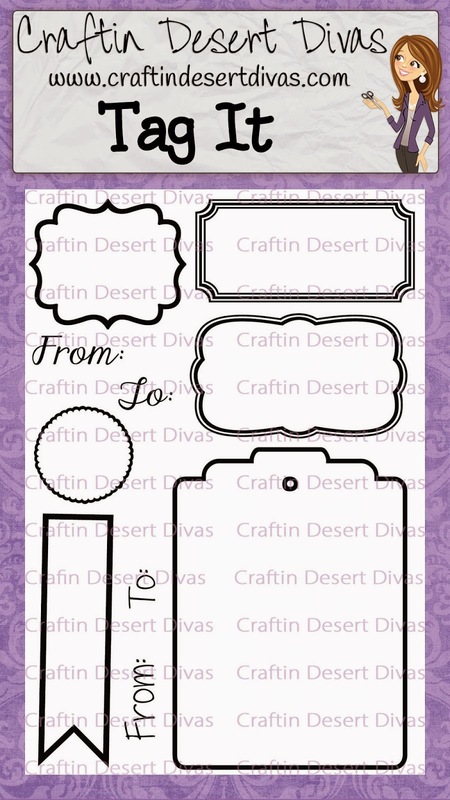 Lisa who is a CDD DT member designed this treat holder by using the SVG that comes with the Tag It stamp set. Lisa added a small section and some perforated lines in her SSDE software to create this holder. I think its perfect for small chocolate treats or lollipops. 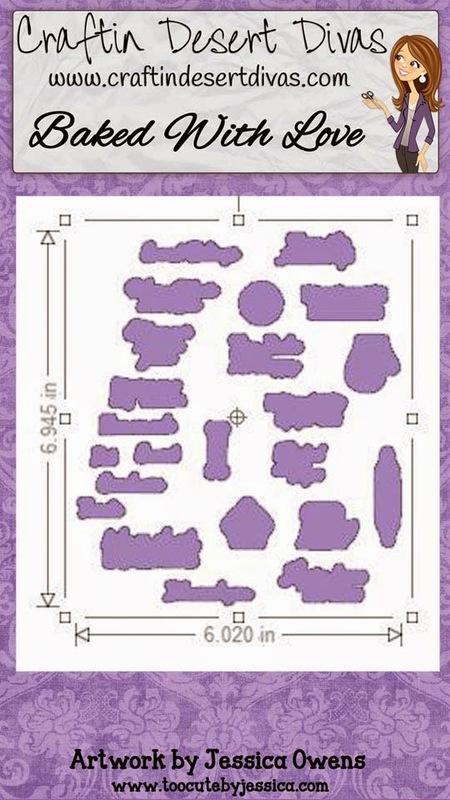 I will be using this alot when I make treats holders. I then put the SVG cut out in patterned paper on top, then stamped the tag stamp on it. To finish it I then colored the penguin with my Spectrum Noir markers added a sentiment and it was done. So simple and cute! 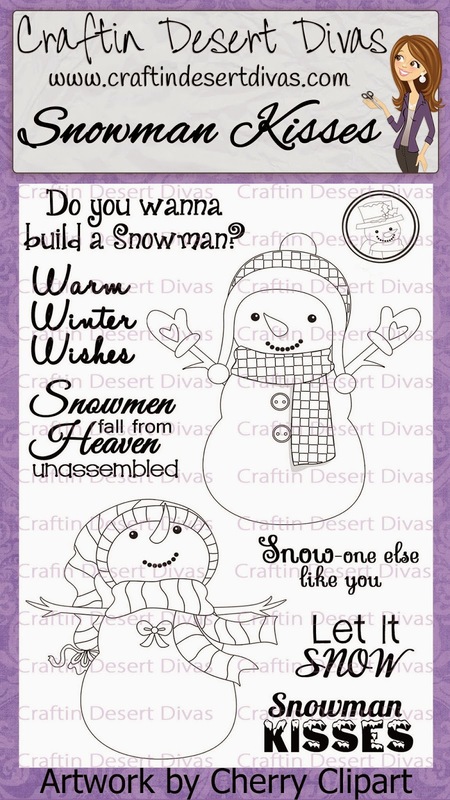 My second project is a card using a sentiment from the new Snowman Kisses stamps. I did heat emboss the sentiment to give it more of a sparkle, even though you can't see it that good in this picture. I've also used the TCBJ Wonderful Winter Girls pattern. 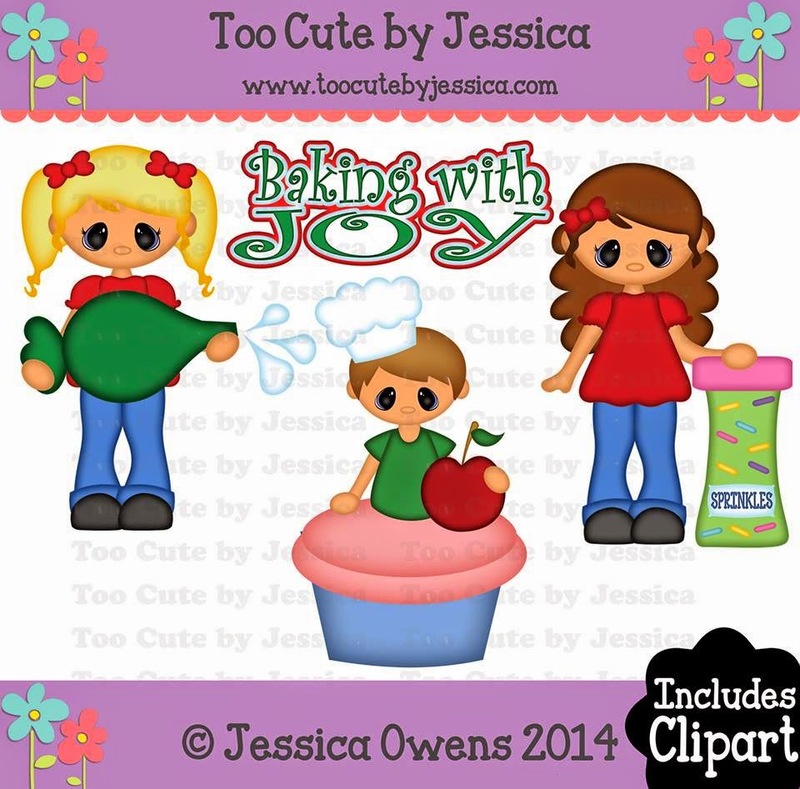 Love these files and Jessica is having a awesome sale in her shop be sure to check it out. I hope you have enjoyed this release as much as we have. We will be back with a new release in January!! As always..you make awesome job!! Thanks for all the inspiration!! I loved both of your cards!!! Love your projects. Both are beautiful. 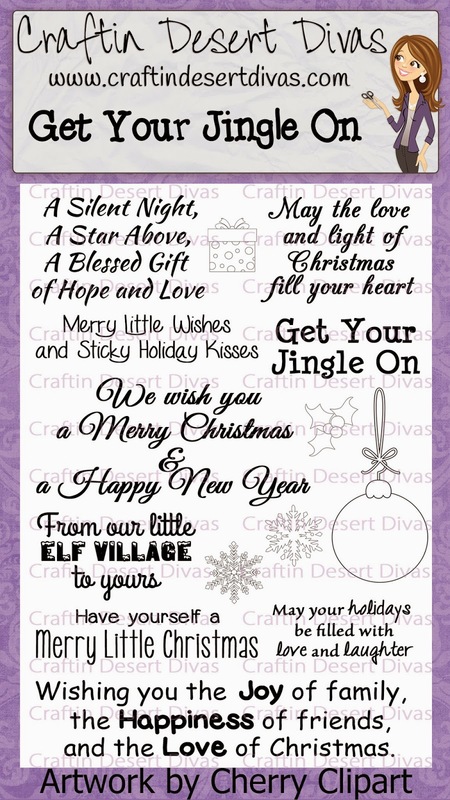 Thank you for sharing and have a great crafty Sunday. Both are so cute, but there is something about the color on the second one. I know...your favorite color! : ) Great job! 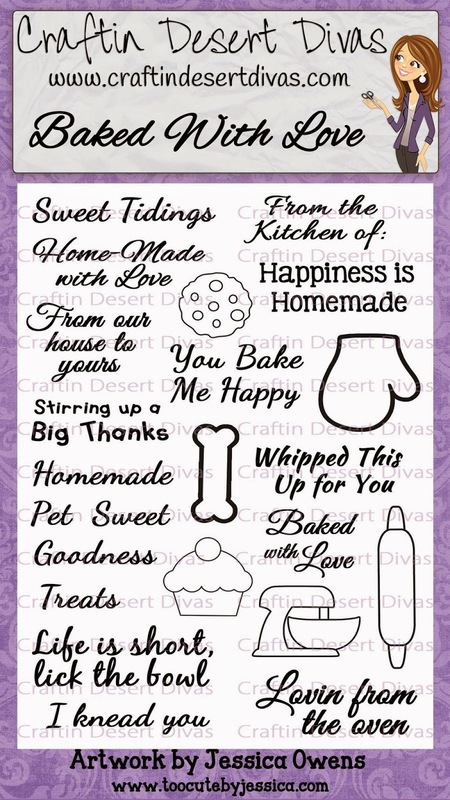 Cute treat holder and I Love, Love, Love your card!! I love these. I cannot wait for my stamps to arrive. The treat container is genius! I love how you made it adorable with that penguin!! Great job, thanks for showing all your hard work. 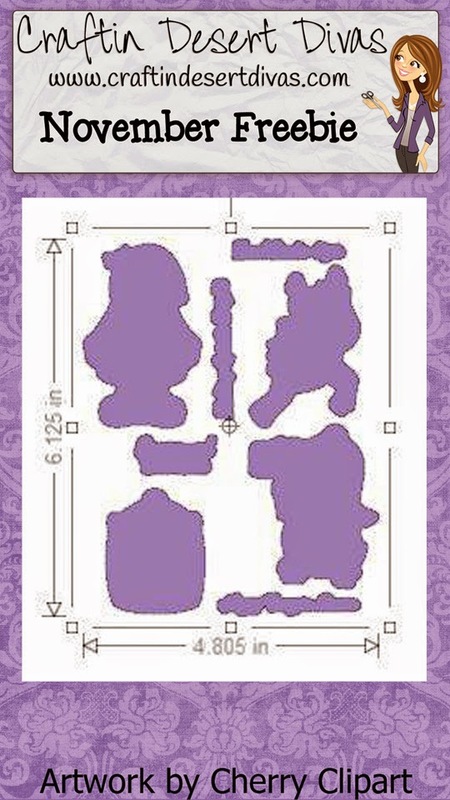 Your projects are absolutely delightful! Wow. Cute treat holder & card. Love both projects. Awesome job! They are both so cute. I really love the penguin. OMG- Both projects are fabs...the treat box penguin is so adorably cute and the bold colors on the card pop and emits the feeling off brr. it's just down right cold. Great job on both projects. Your projects are so cute. Love the treat holder and you now I love the papers you used on your card!! Super cute!!! I love your little ice skarer! Love the little treat holder idea, must try it out and the card is very coll I love the colors very wintry feel!! They're beautiful! I can't wait to make tags for all my gifts. I love your projects they are amazing. SERIOUSLY!!!! This is soooooo freakin cute. I am blown away by these two projects.Those papers are so so so fun!!! This release has been sooooo much fun. Can't wait to see what you have in store for January??!! You made really cute creation. Love colors you jused. Thank you so much for having an awesome HOP, also huge thank you for holding open the sneak peeks until today.. 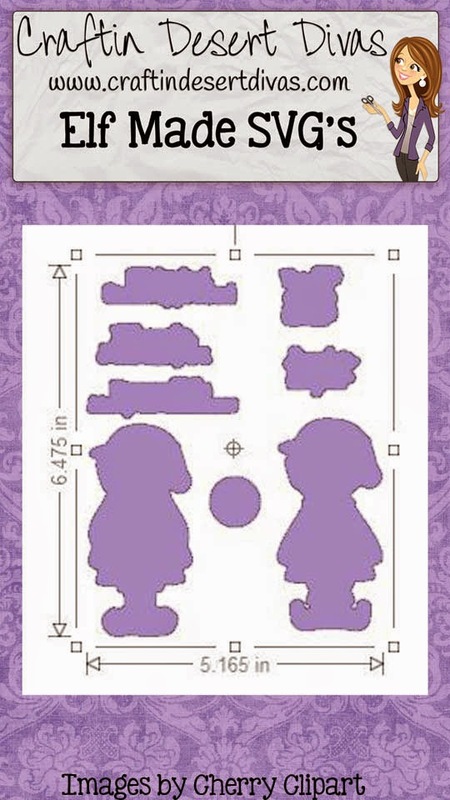 So many cute projects to scraplift!! So adorable Tara! Love them! Both of your projects are too precious for words. Awesome projects, love the diagonal stripes on them. 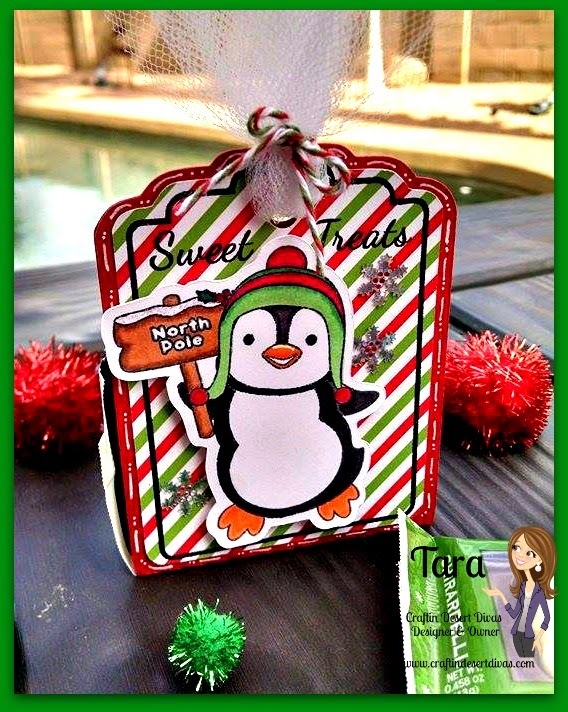 Super cute projects, love the adorable treat holder and the sweet little penguin! The little girl is such a cutie too! Awesome release and so many fun freebies! Both of your projects are simply adorable! Love the colors on that second one! Too much fun on day 2!!!! these are too cute, love both of them. love the penquin and colors!!!! I love the colors on both of them...they both really grab your eye! They are great, thanks for the ideas. 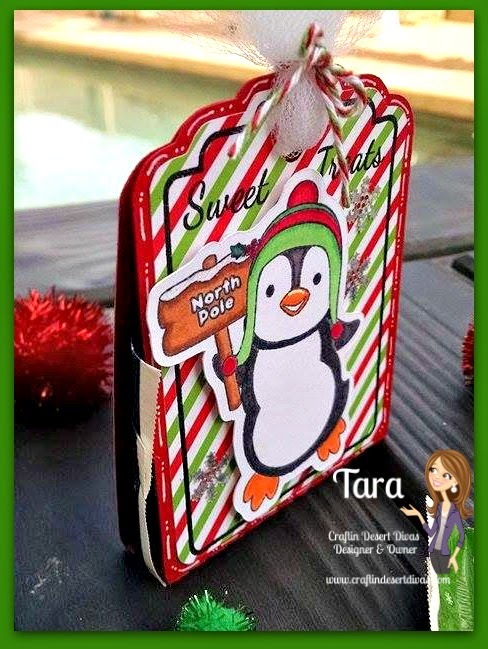 Adorable projects Tara and great details!!! So colorful and cheerful. The cuts are adorable. So cute, love the snowflakes and the penguin! GREAT projects again!! These are so super cute !!! Great projects! Love the little penguin. The little girl is adorable! Love the eyes. Also, love the colours and the paper choices that you made. Awesome creations!